William Penn Jones, the son of sharecroppers, was born in Annona, Texas, on 15th October, 1914. He was a hobo during the Great Depression and then worked his way through the University of Texas at Austin by working in various unskilled occupations. He joined the United States Army and served in all the major campaigns in Europe during the Second World War. By the time he left the army he had reached the rank of captain. In 1946 Jones purchased the local newspaper, Midlothian Mirror (circulation - 810) for $4,000. Jones campaigned for increased spending on black schools. His liberal opinions caused controversy and his attacks on the John Birch Society resulted in his office being firebombed. He was later the recipient of the Elijah Parish Lovejoy Award for courageous journalism. In 1963 Jones became involved in investigating the assassination of John F. Kennedy. A fellow researcher, Gary Mack, later explained: "Penn was one of the first generation of researchers who felt the government was behind the assassination - probably a conspiracy involving military intelligence... He always thought LBJ was behind it somehow." He was also the author of several books on the assassination: Forgive My Grief I (1966), Forgive My Grief II (1967), Forgive My Grief III (1974), and Forgive My Grief VI (1976). Jones sold the Midlothian Mirror in 1974. However, he continued to publish the newsletter, The Continuing Inquiry. Every year, on the anniversary of the assassination, Jones held a memorial service at Dealey Plaza. LBJ was behind it somehow." In 1995 the Coalition on Political Assassinations presented Jones, Harold Weisberg, Josiah Thompson and Mary Ferrell with the Sylvia Meagher Lifetime Achievement Award in honour of their ground breaking and persistent work in pursuit of the truth. William Penn Jones died in a nursing home in Alvarado, Texas, on 25th January, 1998. A few days before the assassination, Karyn Kupcinet, 23, was trying to place a long distance telephone call from the Los Angeles area. According to reports, the long distance operator heard Miss Kupcinet scream into the telephone that President Kennedy was going to be killed. Two days after the assassination, Miss Kupcinet was found murdered in her apartment. The case has never been solved. Now we can add to that list of strange deaths that of Miss Dorothy Kilgallen. Miss Kilgallen joins Bill Hunter, Jim Koethe, Tom Howard and others. Miss Kilgallen is the only journalist who was granted a private interview with Jack Ruby since he killed Lee Oswald. Judge Joe B. 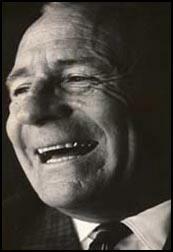 Brown granted the interview during the course of the Ruby trial in Dallas  to the intense anger of the hundreds of other news people present. I have a concern for the strange things happening in America in recent months. With the passing of the second anniversary of the murder of President Kennedy, we take not of some of the strange things which continue to plague those around the principals. What is happening in our land? How many murders of persons connected in some way with the assassination principals can go unnoticed by our people? 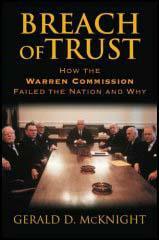 How many lies must we prove on The Warren Commission before a demand for reopening becomes a commanding one? Tom Howard knew too much from Ruby and he knew too well how the Dallas power structure and Police Department worked. Howard had to die. At the Ruby trial in Dallas during March of 1964, Dorothy Kilgallen had a private interview during one of the noon recesses with Judge Joe B. Brown. This was immediately followed by a thirty minute private interview with Jack Ruby in Judge Browns chambers. Even Rubys bodyguards were kept outside the Judges chambers. Joe Tonahill and others thought the meeting room in the jail was bugged, but it is doubtful if the Judges own chambers would be bugged. Judges have the power of contempt of court for such irregularities. This then, was the second person Ruby had talked to who could know for whom Ruby was acting; therefore Miss Kilgallen had to be silenced along with Tom Howard. Shortly before her death, Miss Kilgallen told a friend in New York that she was going to New Orleans in 5 days and break the case wide open. Miss Kilgallen 52, died November 8, 1965, under questionable circumstances in her New York home. Eight days after her death, a ruling was made that she died of barbiturates and drink with no quantities of either ingredient being given. Also strangely, Miss Kilgallens close friend, Mrs. Earl E.T. Smith, died two days after Miss Kilgallen. Mrs. Smiths autopsy read that the cause of death was unknown. Many skeptical newsmen have asked: If Miss Kilgallen knew anything, surely as a journalist wouldnt she have left some notes? This is a legitimate question. Possibly Mrs. Smith was the trusted friend with the notes. No one will ever know now. The omissions, errors, distortions, and untruths in Rather's book are just too great and too numerous to be dismissed as unintentional inaccuracies or harmless forgetfulness. Back in Dallas after having been moved from there to New Orleans just a few weeks before President Kennedy's assassination, Rather played a major role that day in all the events for CBS. For a young newsman with such an important assignment on his hands, we find it strange that he would take a side trip that morning. Rather reports he went to Uvalde, Texas for an after-breakfast meeting with former Vice President John Nance Garner at his home there, but he doesn't mention the distances involved. He does not bother to tell his readers it was a six hundred mile round trip and that he was back in Dallas before the President's parade. There had been fourteen deaths since King Tut's tomb was opened in 1923, fifteen if you want to include Marilyn Monroe, who was said to have died with a fat gem in her jewel box that had originally been snatched from the sarcophagus of the Tut. But now a small-town newspaper editor near Dallas was said to have uncovered a Kennedy version of the King Tut curse. The newspaper editor was Penn Jones, Jr., of Midlothian, a small former cotton town some twenty-five miles out of Dallas. 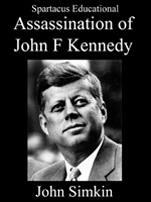 The sleuths said he had discovered at least thirteen deaths that were mysteriously related to the assassination of President Kennedy. Disbelieving, I had called John Howard Griffin, a neighbor, Texas style, of Jones, living only some forty miles distant. I asked if he knew this Penn Jones, and if so, what sort of a nut was he? John knew him well. "Penn's a good fellow," he said. "He's the scrappiest editor in Texas. If he says there's been a series of deaths, I'm sure there's substance to it." John Griffin would say something nice about a man who had just run over him, but he would never misstate a fact, or give a false impression; if he took the King Tut's curse in stride, then there had to be something to it. But if there was something to this one, I was saying disagreeably to myself on the way to the airport, then we may as well check out that rumor that Hitler was alive and living with the Hopi Indians. Sometimes, only sometimes, the wildest stories turn out to be true. This was one of those times. The Texas School Book Depository, a pedestrian building even by Dallas standards, was both monument to the assassination carnage and a beacon to its continuing controversy. Three of us who had come to Dallas stood genuflectory fashion in front of it. With me were two Ramparts editors working on the assassination-Stanley Sheinbaum of Michigan State University fame, and David Welsh, a former Detroit News reporter who had covered the South for Ramparts and was gearing up to cover Southeast Asia for the paper; meanwhile, he shared with Gene Marine baby-sitting responsibility on that frenetic part of the paper that had come to be known as the "sleuth desk." Penn Jones had insisted we "soak up the atmosphere" of the Dallas assassination shrines before making the half hour drive to Midlothian. We dutifully poked around atop the grassy knoll, urinated in a seedy alley near Jack Ruby's boarded-up Carousel Club, visited Oswald's former rooming house in the sprawling Oak Cliff section of Dallas, an entire suburb of ill-repute, and went through the sleuths' checklist of curtsies, handsprings toward the East and such that assassination pilgrims are supposed to perform in Mecca. When those stations of the cross were at last completed, we rented a wheezing Hertz machine which poked along amid the diesel trucks and vintage automobiles, most of them candidates for the Bonnie and Clyde prop department, that crowded the two-lane blacktop to Midlothian. Midlothian (population 1,521) was a whistle-stop without a train, a dusty, tree-lined town of modest brick and frame houses. The Midlothian Mirror was a weekly, six-page journal which successfully defied all the laws of typography. It was printed on strange, coarse newsprint which had the look of a recycling experiment that had failed. The Midlothian Mirror was the genuine item, an indigenous, atavistic frontier weekly which covered the boredom of Midlothian like its dust. Its fighting editor, Penn Jones, Jr., was of a dying breed of populist prairie journalists, an editor who was part Front Page, part Grapes of Wrath. He had received Southern Illinois University's Elijah Parish Lovejoy Award for Courage in Journalism for beating up a Bircher on his composing room floor. His newspaper appeared to be the only functioning anti-Establishment voice in the shadow of Dallas. Penn's wife ran the linotype, and he did everything else-from writing the editorials to boarding up the front window after receiving a letter to the editor in the form of a firebomb. Penn looked like a wash-and-wear version of Burgess Meredith. He was five foot five, his weathered face had an unfinished texture, as if sandblasted out of balsa wood, and his uneven, receding hairline was semi-crew cut in a style scalped by amateur Indians. John Griffin had called him "scrappy," and God perhaps had Penn Jones in mind when he created the word. When the city paved the streets in the black section of Midlothian with a gravel loaded with rusty nails, Penn not only wrote about it-he dug some 50 pounds of nails out of the streets and put them on display in his office window for all the world to see. When a lieutenant in the Dallas police department offered Penn the lucrative job of printing the regional KKK newspaper, Penn told him to go to hell. "Half the cops in Dallas belong to the KKK or the Birch society," he said. Penn pledged allegiance to no creed but the truth, which (his corny country parlance gave a dignity to the cliche) he called the "cross and grail" of the newspaperman. He was a card carrying member of Genuine America and proud of it: he had landed at Salerno with the fighting Texas 36th Infantry in World War II; his collection of barbed wire was the largest, he said modestly, in the continental United States; his pudgy son was the drum major for the University of Michigan marching band. He was especially proud of the esteem in which he was held by his fellow country editors in the Southwest and Midwest, who viewed him as something of a cross between William Allen White and the Green Hornet. When the Frederick, Colorado, Farmer and Miner called Penn Jones "the most courageous newspaperman of our time" for his editorials on the assassination in Dallas, that meant more to Penn than the day Walter Cronkite came to take his picture. I asked Penn why he put out such a crusading newspaper in a place like Midlothian. "This is the only newspaper which cares about Midlothian. If I left, nobody would care." This man, this prime-rib slice of middle America, swore on a stack of Bibles that a dozen or more people connected with the assassination had met mysterious deaths in its aftermath-and that more deaths were in the cards. We drove out to Penn's ranch to talk. He wanted to show us his hand-made waterwheel; he boasted it was the only working waterwheel in Ellis County, although it took a kick and a run up the hill to the pump to get it going. Penn found the necessaries and a quart of branch water in a hingeless cupboard in the ranch's ramshackle main cabin, and we sat down to listen to the waterwheel chug in the distance as the editor discoursed in narrative detail on the spidery, black world of Texas politics. He described the several Dallases: the jet stream, superchic, millionaire liberal fashion-plate Dallas of department store owner Stanley Marcus; the fanatic, paramilitary billionaire right-wing Dallas of General Edwin Walker; the crawling lowlife of cheap punks, pimps and perverts in the dingy Dallas of Jack Ruby; the corrupt, stetson sporting, justice-for-sale, penny-arcade official Dallas. He talked of the "Texas Mafia," those pot-bellied bosom buddies of Lyndon Johnson, the middlemen who also got theirs off the top, who could fix everything from a speeding ticket to a murder charge; of Bill Brammer, Lyndon's former aide who had the poor sense to write a good novel, The Gay Place, about LBJ's world, and how LBJ had destroyed him, crumpled the man up and thrown him away like a used pack of cigarettes. Penn was just getting warmed up about Dallas by the time he got down to the grit of the assassination. He estimated that he had spent "several thousand hours" reading and knocking on doors, asking questions, attempting to connect the dots in the puzzle left by the Warren Commission. "The Warren Report," he said decisively, "wasn't worth the paper it was printed on." He was not averse to backing up that statement. He ticked off a list of social contacts between Ruby and Dallas police officer Jefferson Davis Tippit, and then between Oswald, who shot Tippit, and Ruby, who shot Oswald, that read like a computer matchmaker's dream datebook. There was the testimony of Oswald's landlady, Earlene Roberts, that a Dallas police car had pulled up in front of the rooming house shortly after the assassination, while Oswald was inside, and honked twice, in some sort of signal, then drove off; Oswald left via the front door a few moments later. There was a list as long as a tattooed man's arm of Oswald's FBI contacts in Texas and New Orleans. And stories like that of Julia Ann Mercer, an eyewitness who was told to deny what she had sworn in writing to the Dallas County Sheriff's Office, and was never called as a witness before the Warren Commission; she had seen a man with a rifle case get out of a green pickup truck and walk up the hill to the grassy knoll above Dealey Plaza minutes before the assassination-the driver of the pickup, she said, was Jack Ruby. We sat transfixed, listening over the chung-plung, chung-plung of the waterwheel to his verbal catalogue of the sins and omissions of the Warren Commission. "I've got a million of them," Penn said. One of the strangest was the story of Rose Chermi. According to police reports Penn had dug up, Ms. Chermi, a lady of less than tender years and experience, had been thrown from a moving automobile near Eunice, Louisiana, on November 20, 1963. A passing good Samaritan picked her up and drove her to a hospital, where she angrily volunteered information to the effect that she was in the employ of Dallas nightclub owner, Jack Ruby, and had been driving to Florida with two of Ruby's men to pick up a load of narcotics for their boss; during an argument, one of the men had shoved her out the door of the speeding car. She also volunteered the information that President Kennedy and other officials were going to be killed on their impending visit to Dallas but two days hence. No one took her seriously. After the assassination, the Eunice authorities thought a little differently and Rose Chermi was questioned further. Shown a news story the day after Ruby shot Oswald, which quoted Ruby as denying having previously known Oswald, she laughed out loud. "They were bed mates," she said. What further information, if any, Rose Chermi provided was not later found in the official records of Eunice, Louisiana. And 1'affair Chermi somehow escaped the attention of the Warren Commission. When Penn went looking for Rose, he found that she had been killed by an unidentified hit and run driver, on September 4, 1965, while walking along the side of a highway near Big Sandy, Texas. "So that's one of the mysterious deaths," I said. Penn looked at me as if I were some sensation-mongering big city journalist. "Nope," he said. "Not yet, anyway. She's dead all right. But I haven't finished checking her case out." No rush, he said. There were plenty of other, duly certified, mysterious deaths. And there'd be plenty more where they came from, no doubt; he reckoned he'd be working on the assassination the rest of his life, there was that much to do. The tiny Texas editor discussed such matters with the calm of a reporter who had his scoop down pat, and was just waiting for the man from Pall Mall cigarettes to come along and give him its $500 Big Story award. Curses, like rivers, have to start somewhere, and the string of mysterious deaths connected with the Kennedy assassination was traced by Penn Jones to a fateful meeting at Jack Ruby's apartment on Sunday, November 24, 1963-the night that Ruby shot Oswald. Penn discovered that three of the five people present at that meeting had died in a mysterious manner afterwards. It was this discovery which started the Mysterious Death clock ticking. When we talked, in 1966, the count was around thirteen or fourteen; Penn's latest tabulation, as of 1974, has the number at one hundred or more. Granted the actuarial tables and hardening of the arteries, that list still amounts, at the least, to a bit of a curse. The first fatalities are instructive of the lot. The two newspapermen who were at Ruby's apartment that night died-by all fair-trade applications of the adverb -mysteriously within a year. Jim Koethe, a reporter for the Dallas Times Herald, was killed, as Ed Sanders would say, chop-chop, by a karate blow in the neck when he stepped out of the shower the morning of September 21, 1964. His apartment was ransacked, and two notebooks filled with information on the assassination were taken. The second reporter, Bill Hunter, of the Long Beach Press Telegram, was shot to death by a cop while sitting at his desk in the press room of the Long Beach Public Safety Building six months later. Two Long Beach police detectives confessed that they had been horsing around, playing cops and robbers with loaded guns, when one cop dropped his gun and it went off, killing Hunter with a bullet through the heart. The cops were convicted of involuntary manslaughter, but sentence was suspended. The third dead man who had been at Ruby's apartment that night was Tom Howard, a Dallas professional character who, as Ruby's first attorney, had proclaimed that his client should get the Congressional Medal of Honor for shooting Oswald. In 1964, Howard, a healthy and gregarious fellow, began to act in a very nervous manner, then reportedly died of a heart attack at the ripe old age of 48. No autopsy was performed. Housepainter Hank Killam, the husband of Wanda, Ruby's favorite B-girl, and the buddy of a man who lived in the same roominghouse with Oswald, massacred himself on Valentine's Day, 1964, by falling through a plate glass window and severing his jugular vein. Cab driver William Whaley, who drove Oswald from the Kennedy murder scene, died in a weird head-on collision in 1965. He was the first Dallas cabbie to be killed in action since 1937. Edward Benavides, the brother and lookalike to an eyewitness to the killing of officer Tippit, was shot in the back of the head in a Dallas beer joint in 1964; when a relative, dissatisfied with the police classification of the shooting as "unsolved," began to poke around on his own, someone took two potshots at him. The list went on much in the same fashion. The only exception to the editor's scientist like restraint in naming a person as a mysterious death was the bitchy matter of Dorothy Kilgallen. Penn just couldn't get over the fact that she was the only reporter ever to interview Jack Ruby alone-with no official or unofficial interlopers; just before she died she had been going around New York telling friends that she was about to "bust the Kennedy assassination wide open." She was found dead in bed, reportedly of too many cocktails made of one part alcohol to three parts barbiturates. The thing that freaked Penn was that Miss Kilgallen died on November 8, 1965-the night the lights went out in New York. Fair to jumping up and down over this coincidence, Penn wrote an editorial in the Midlothian Mirror titled: "Was It A Mickey?" "Find out," I asked David Welsh in the plane on our way back to San Francisco, "if all those people are really dead." Meanwhile, back at Ramparts' drydock in San Francisco, there was an armada of sleuths afloat on Dexedrine, attempting to meet the deadline for the November issue, in time to observe the third anniversary of the assassination. 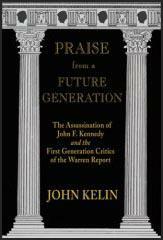 They were preparing an encyclopedic broadside against the Warren Commission as "merchants of alibis," to borrow a phrase of the great Mike Gold, that one-man Addison and Steele of American Communist letters. This Song of the Sleuths would be of such sweet clarity as to compel the reopening of the assassination investigation. Consistent with Ramparts' operating procedures, we had a cover before we had a story. Stermer had procured an official color photograph of Jack Kennedy-chin propped on hand, handsome beaver teeth smiling, money-pouch bags around the eyes, comate hairdo shining with vigor. It was a visage suitable for a Camelot airmail stamp. Stermer sent it to a local jigsaw puzzle manufacturer with instructions to make a puzzle out of the picture of the martyred President. We figured the jigsaw maker for a Republican, since he got the finished puzzle back to us, as several boors in the office noted, in jig time. Before sending it off to the engraver, the art director removed a few pieces from the bottom of the puzzle, for dramatic effect. Keating wanted to improve on the idea and take pieces out of JFK's head, exactly where he had been shot. Stermer refused, and after considerable pushing and pulling of Kennedy jigsaw pieces, the art director carried the day. The assassination-puzzle cover ready, I waited for the sleuths to deliver their giant speckled egg so long in gestation; the time had come to crack open the Warren Commission. The sleuths' manuscript was a monument to the irrelevance of logic. Slightly less bulky than the Manhattan Yellow Pages, our counter thesis was as academic, convoluted and tautological as the Warren Report itself. It was a goddamn legal brief; I wanted something that would get people talking about the Warren Report with the cynicism they did about the weather report. All public opinion polls and other scientific ilk belong in the same cocked hat; they are loaded in the first place, since they weight the question simply by bringing it up. In my book, the only reliable indicator of what is weighing on the national consciousness is what people are talking about in neighborhood bars. The books that had come out criticizing the Warren Report had stirred the nation's intellectuals but left the masses becalmed. I wanted to churn the bars: I stuck my head in the door of David Welsh's office. "Did you find out if all those people are dead?" "So far, ten check out. Ten dead," he said. "Ten's enough," I said. "Pin it all on Penn Jones." "We know of no serious person who really believes that the death of Dorothy Kilgallen, the gossip columnist, was related to the Kennedy assassination. Still ..."
Amnesia is said to be curable by a good hit on the head; national amnesia may be no different, as the use of King Tut's hammer proved most effective. The "mysterious deaths" became an overnight sensation. Ramparts sold out, and went back on the presses. Penn Jones found himself catapulted to the status of instant folk hero. Walter Cronkite dispatched a film crew to Midlothian and devoted long segments of three consecutive CBS newscasts to Penn Jones's Big Story. European newspapers ran scare headlines, while many American papers editorialized against anyone taking seriously such sagebrush rumors-but in denying a conspiracy the press found itself in the unexpected position of promoting a curse. Mysterious deaths were suddenly reported everywhere, from the gruel dished up in drug-store tabloids, to the mass slicks; Cosmopolitan reprinted the Ramparts story in its conspiratorial entirety, which was one of the last acts of the old management before Helen Gurley Brown took over and began asking men to take off their clothes in the centerfold. Some time later I was in a proletarian bar in outer Brooklyn, and, over a beer, I heard a toothless old lady tell the fellow next to her about "all these people who got murdered down in Texas because they knew who killed President Kennedy"-I knew then that the national consciousness barrier had been cracked. The sleuths were unhappy. Although I had got a good national buzz going in their cause, they were so upset at my trashing their manuscript that had I brought the sun whirling down to the crowd at Fatima on their behalf, I doubt they would have approved. Missionaries like to control the process of conversion, and do not always find miracles to their taste. David Lifton, the supersleuth, sat grumping in my office one afternoon while I attempted to explain that it is necessary to break the ice before you can go swimming in winter; now that people were talking about the assassination in neighborhood pubs, the public attention span for considering the Warren Commission's misfeasance had been sufficiently expanded so that people might even be willing to look at one of his blowups and see a rifleman in the bushes. "Listen, buddy," I said, "if you can't prove a conspiracy, settle for a curse."